The TMJ & Sleep Therapy Centre of Dubai is part of The London Sleep Centre Dubai! Our team is led by Dr. Karina Patel and dedicated to excellence in the treatment of Temporomandibular Disorders (TMJ/TMD), Craniofacial Pain (Headaches), Sleep Related Breathing Disorders (Snoring), and Obstructive Sleep Apnea (OSA). Our treatment protocols are proven every day in over 45 Centres in 7 Countries. Our process for diagnosis and treatment of TMD/TMJ and Sleep Related Breathing Disorders is non-invasive and done without surgery and without the need for CPAP. If you have experienced ANY of the signs and symptoms below, please contact us for a consultation or to discuss how we can help you. Everyone deserves to live pain free and to get a good night’s sleep. 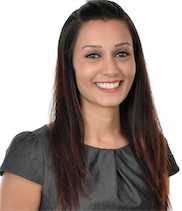 Dr. Karina Patel, a graduate of Kings College London (UK), has practiced dentistry in Australia for the past 4 years. She has always had a special interest in Neuromuscular dentistry and a passion for helping patients with chronic pain syndromes. While in Australia she became interested in the ongoing research and continuing education specifically in the fields of cranio-mandibular pain and sleep disordered breathing. Dr. Patel attended the education and residency courses for Advanced Training in TM Dysfunction, Craniofacial Pain and Sleep Disordered Breathing taught by Dr. Steven Olmos, founder of TMJ & Sleep Therapy Centre International. "I was fascinated by all the research out there explaining the connection between cranio-mandibular pain and sleep disordered breathing. It was a connection I could not ignore if I wanted to help my patients in a huge way and improve their quality of life! " She believes that the treatment of these conditions involves a multidisciplinary approach. "It is the job of us as health professionals to work together to not only come to a detailed and accurate diagnosis but also to provide the best treatment outcomes for the patient." Dr. Karina Patel has been selected to join the TMJ & Sleep Therapy Centre International with the opening of her TMJ & Sleep Therapy Centre of London, England. She is very excited to be introducing this treatment modality to Europe and dedicating her time to gain awareness in this field amongst not only other professionals but the public.